You’ve got engaged, and now you’re thinking about getting married in France? France is a very romantic country, with gorgeous and unique venues, like a château for example! Whether you dream big, or think simple, we can help you create your wedding project from scratch or give you advices from your ideas. We are confident that you and your lover will be happy on your wedding day. We offer full planning services for your bespoke wedding. From the search of the perfect venue, to the coordination on your wedding day. Looking for having a symbolic ceremony? We also create and celebrate secular ceremonies in English and French if you wish. We can also help you and your guests for your travel and accommodation in France for this very unique event. We like to take care of our clients, and give them the power to plan their wedding even when they live far away and don’t know the area. We are always looking for the best service providers for each unique weddings. Benefit from our experience and knowledge, to gain time and enjoy the best part of planning your wedding. From elopements to huge assembly, we are here to plan and coordinate your dream wedding. Couples coming from all over the world trusted us for their wedding, making their big day a wonderful event. Contract, payment schedule... Some administrative tasks, and we're ready to start! Enjoy your wedding day, and let your planner take care of the coordination! Discover a bit more about weddings planned by ©Wonderful Love, and why our clients are happy with our services! Jonathan made it super easy for us, and it wasn’t stressful at all. He’s completely bilingual […] communicating with him was very easy. He’s very responsive, with emails, Skype or WhatsApp. His work method is really easy to approach, he’s very detail-oriented, and thought of all those things we wouldn’t have ever thought of. He uses several tools like plannings, and everything that keeps us organized. He’s very calm and organized […] thinking about all those details without being stressful or directive. Our event was pretty complicated, as it was a several day event. But we really enjoyed, everything was perfect! Jonathan is an outstanding professional, with multiple talents and responsive to the needs. I’ve had the opportunity to work with him several times, its professionalism and its planning talents always impressed me! Nothing remains hidden to him, and he loves all his clients, allowing him to offer its best and make their wedding day a real fairytale. I highly recommend him! Jonathan was one of my top business students. Hard-working, reliable, willing, polite, professional, committed – all the values that would be useful in the real world, and I never had any doubt he would make a success of his life. I am delighted he has decided to follow his instincts and start his own business which is already proving to be a success. His natural creativity and his ability to get on well with people will be valuable qualities in a business that demands lots of both. I have no doubt he’ll be offering his clients the very best of service, and that their entire satisfaction will be at the top of his priorities. 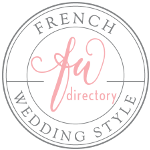 French wedding planner based near Clermont-Ferrand, in middle of France. 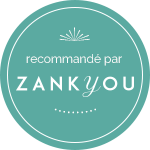 Let's plan together your wedding in Auvergne Rhône-Alpes area, or anywhere else!